You don't slow your pace because of a little sweat, and this women's running T-shirt means you don't have to. 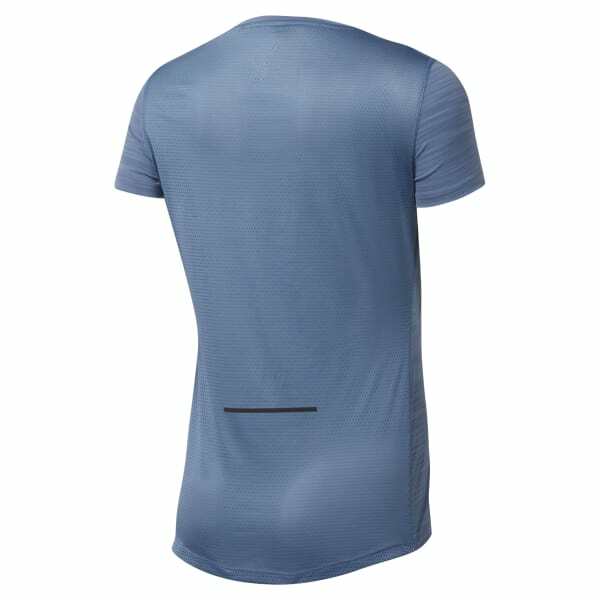 Press on, and let this tee's ACTIVCHILL and Speedwick technologies help keep your cardio performance going. The mesh back boosts breathability during full-on sprint sessions, while reflective features help give you more hours to train safely.